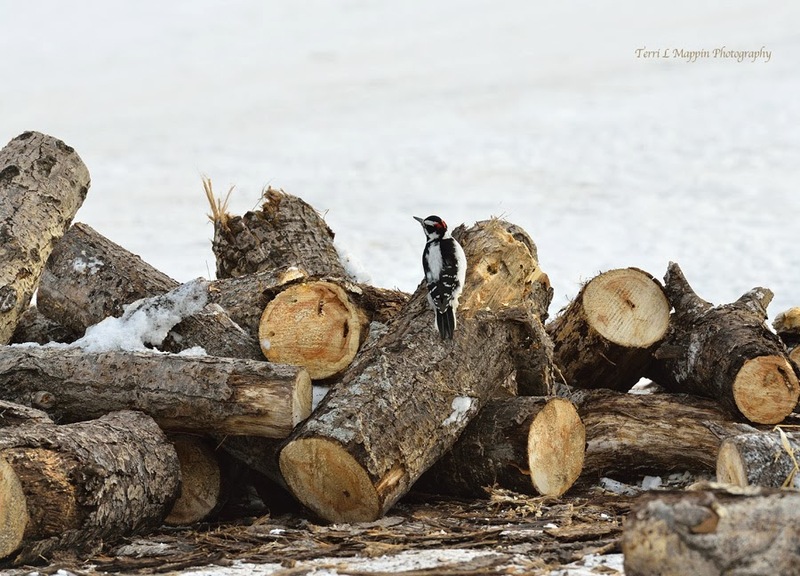 I couldn't resist taking a few quick photos of this male Downy Wood Pecker! 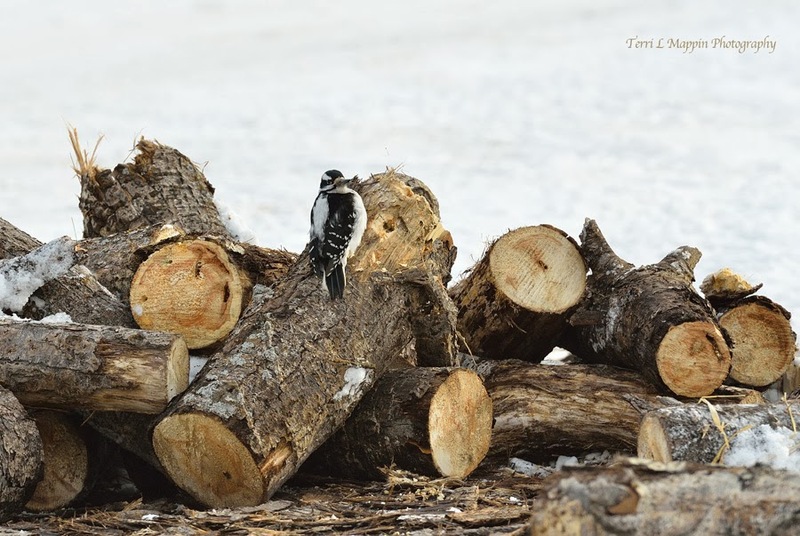 He landed on this small wood pile and seemed rather pleased with his find! 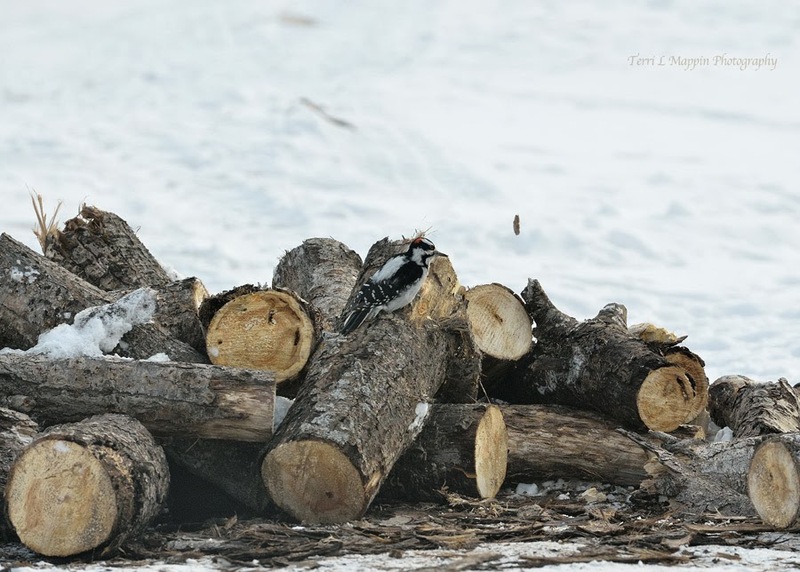 It certainly didn't take him long before he was knocking and had the wood flying! LOL!